Can a trust protect your assets from loss? According to the lawyer advertising and the self-help books, everyone needs a revocable trust. The asset protection industry loves irrevocable trusts to get assets out of your name so your creditors can’t reach your wealth. So, do trusts work in bankruptcy to change the rights of debtors and their creditors? A revocable trust is also called a living trust. It’s created during the lifetime of the person putting their assets in trust. The settlor, the person creating the trust, can unwind the trust altogether. Or, the settlor can extract one or more assets from the trust. It’s revocable. The appeal of a revocable trust is that assets owned by a trust don’t need to be probated at the settlor’s death. The terms of the trust determine who gets the trust assets. I find revocable trusts useful to manage assets of the aging or the incapacitated. Title to trust assets in a revocable reads: George Smith, Trustee. The asset appears to no longer be George’s asset, personally, but the asset of his trust. Many people would like to think that George’s creditors can’t reach the asset if George doesn’t pay his debts. Is it so? The very quality that makes a revocable trust appealing, that it can be revoked in whole or in part, is what defeats it as an asset protection tool. The law says, if the settlor, the person who settles assets on the trustee, can revoke the trust, the settlor is treated as the absolute owner of the assets. The trust changes nothing as far as the settlor’s exposure to his creditors. So when bankruptcy schedules ask for a list of your assets, the property in your revocable trust must be listed. An irrevocable trust is one where the trust can’t be revoked. Assets that flow into the trust can’t be extracted by the settlor. With an irrevocable trust, you’ve traded flexibility as to your assets for protection. So, some see the irrevocable trust as the answer to creditor problems: put the money in trust, let the trustee pay it out to you, and thumb your nose at creditors. But there’s this pesky idea called the law against fraudulent transfers. In this case, the law protects creditors who have a claim at the time the trust is funded. The theory of law is that you can’t defeat the claims of your creditors by giving your property to a trust without getting back reasonably equivalent value. If you got nothing for giving away your assets to the trust, it’s a fraudulent transfer. State law, and bankruptcy law, have rules about how long a fraudulent transfer can be challenged by creditors. Further, state law and the terms of the trust itself will determine the rights of creditors to monies paid out from an irrevocable trust. Make sure your expectations about trusts, creditors, and bankruptcy are grounded in law. Convincing clients that they need to include all of their debts in bankruptcy is one of the hardest parts of being a bankruptcy lawyer. The struggle often seems Herculean. Sometimes, they will tell me they don’t want to include their car loan in the case because they “need the car”. Sometimes I find the student loan payment in the budget but not on the list of creditors. Or there’s a creditor they don’t want to know about the bankruptcy. Part of the issue is confusion between scheduling a debt and discharging the debt. When you file bankruptcy, you are required to list all debts and or risk denial of discharge if you don’t. After all, you sign the schedules under penalty of perjury. One of the standard questions the trustee asks at the first meeting of creditors is “did you list all of your debts”. You need to be able to say, honestly, “yes”. However, debts are not necessarily discharged just because they are listed. The Bankruptcy Code specifies a number of debts that simply aren’t dischargeable in bankruptcy. Those debts still must be listed. Debts secured by your assets must be listed, even though the lien on the asset will survive the bankruptcy. The bankruptcy bargain involves making full disclosure of your financial situation in exchange for the discharge. The desire to exclude debts from the schedules is sometimes fanned because debtors don’t know that they can reaffirm debts during their case. A reaffirmation agreement essentially waives the discharge as to that particular debt. A reaffirmation agreement puts the parties back on the same legal footing as they had before the bankruptcy was filed. Reaffirm the car loan and you are protected against repossession as long as you make the payments as you did before bankruptcy. Clients are frequently surprised when they learn that they can continue to pay a discharged debt voluntarily if they wish. Then, there are the clients who “love” their credit card issuer and want to keep paying because of loyalty or out of fear of being without plastic. I have to tell them the sad news that the love is one sided. The issuer has other ways to find out about the bankruptcy case and may cancel the card independently of being listed or not in the case. Moral of the story, there are a number of options for debts post filing, so don’t get tripped up by leaving out creditors. I keep encountering posts on internet bankruptcy boards from individuals who have “filled out the means test” and then proceed to announce their conclusions. Given the uncertainties in the legal community about how to apply the means test, I can’t imagine a non lawyer learning anything reliable from trying to do this themselves. As a certified bankruptcy specialist, I end up thinking, and rethinking, treatment of income and expenses on the means test. Yet the results of the means test determine whether you get to choose which chapter of bankruptcy you want to file, or how much you have to pay if you file Chapter 13. The tricky issues include how to deal with income from non filing spouses; from roommates or extended family members; shared custody situations; changing income issues, and how to handle business expenses for the self employed. One bankruptcy appellate panel recently decided that the judges who drew up the form did it wrong! That really helps. You have to parse out income “received” but not “derived” during the look-back period and figure out how to report children where custody is shared. Then there is the dispute on the deduction side about ownership allowances for paid-for cars; operating allowances for older cars; debts associated with property you’re surrendering, and just what part of your telecommunication expenses go on the form. And how do you treat the costs of delayed health care needed in the future? Do you divide that cost over the life of a Chapter 13 plan, or over 12 months, or….? Can you swear to that? I cringe when I ask a client to sign this form, as they cannot possibly validate all of the entries on the form, given the complexities of the law. While I won’t say “don’t try this at home”, I am certain you should draw no conclusions about the means test and your eligibility for Chapter 7 based on your efforts to take the test. Get an experienced bankruptcy lawyer involved. If an asset isn’t titled to you, it does not have to be disclosed in a bankruptcy filing. I hear it and see it in action again and again. If it isn’t titled to you, it will be “safe” from the bankruptcy trustee and from creditors. And yet it is wrong. Still, people transfer titles to cars and cash and quitclaim their homes to friends before bankruptcy, thinking that’s smart. No. It’s both dumb and dangerous. Not only does putting your assets in the names of friends and family expose them to a lawsuit to recover the property, in extreme situations it puts your bankruptcy discharge at risk. Actions taken to “hinder, delay or defraud” creditors are grounds for denial of discharge under 11 U.S.C. 727. What could delay your creditors more than shedding assets without getting anything in return? For well more than four hundred years, the law has contained prohibitions on fraudulent transfers. 3) leaves the person transferring the asset with less capital than reasonably necessary to conduct their business. So, a transfer is actionable even if it’s a gift to charity; you intended to hide the asset; or the transfer left you broke. The usual remedy against the person who gets the asset is an order requiring the return of the asset or a money judgment in the amount of its value. The bankruptcy code has a statute empowering the recapture of transfers made within two years of filing. In addition, the bankruptcy trustee has the rights of the debtor’s creditors under state law to recovery any property that the debtor wrongfully transferred. 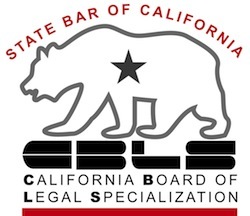 In California, creditors have four years to recover fraudulent transfers. So, a really quick and effective way to screw up your bankruptcy is to put your assets in the name of your mother, your kids, or your buddy, and conceal the fact from your attorney. Sign the statement of affairs under penalty of perjury, hiding the transfer, and you are a long way toward making a real muck of things. Yet people again and again ask “what if I put it in someone else’s name?”. As long as they ask me, I get a chance to say “Don’t do it”. And they have a chance to get a discharge. Queen E. The First courtesy of Wellcome and Wikimedia. You can get a Chapter 13 discharge even without making all the plan payments you promised. There are hoops to jump through and facts to marshal to get that discharge, but it’s possible. The Bankruptcy Code provides for a hardship discharge in Chapter 13 to those whose failure to complete their plan is due to circumstances for which they should not be held accountable. Those circumstances, in my practice, have included illness, job loss, advancing age, and even tax debt arising after the case was filed from the sale of property. Three conditions have to be met to get a discharge without paying as promised. Unsecured creditors must have received at least as much as they would have if the case had been a Chapter 7. Modification of the plan isn’t possible. The inability to make payments is traceable to events out of the debtor’s control. The debtor must file a motion for a hardship discharge and provide evidence that shows each of those factors are present in the case. The motion can be brought anytime after confirmation. Certain debts that would be dischargeable in a fully completed Chapter 13 are not wiped out by the hardship discharge, including priority taxes or debts incurred by fraud, dishonest behavior, or intentional acts. The complete list is found in §523. Importantly for lots of debtors is that liens determined to be worthless at the beginning of the case still get stripped. You’ve got to jump through the paper hoops to get the lien voided, but you are entitled to have it wiped out even with a hardship discharge. Converting a Chapter 13 case to Chapter 7 is another alternative when you can’t complete the Chapter 13 plan or modify the plan to one you can complete. The case remains the same case (no new filing fee, though you need to pay a few bucks to the clerk on conversion). Three reasons stick out for getting the Chapter 13 discharge rather than converting. A discharge in the Chapter 7 won’t happen for months; there’s another first meeting of creditors, and a requirement to amend schedules to bring them up to date. If you wanted to stay in control of assets or keep a Chapter 7 trustee from messing around in your finances when you first filed, those reasons probably continue. A Chapter 13 discharge makes you eligible for bankruptcy relief in the future in the shortest time possible. All good reasons to get a Chapter 13 discharge if you can. Going to court for your first meeting of creditors? What are they going to ask me?, you wonder. My bankruptcy clients imagine a quiz on the contents of their bankruptcy papers. Or worse, an inquisition on why they needed to file bankruptcy. That’s not likely. The first meeting of creditors is much more likely to be a snooze. Jay Fleischman set out a very comprehensive list of questions a Chapter 7 trustee might ask at your bankruptcy hearing. Let me add my rules for answering those questions. Just because you’ve read Jay’s list and think you know what’s coming, listen to the trustee’s question, all the way to the end. First of all, it’s only polite. Second, you want to make sure that you know what the trustee wants to know. Your answer is being recorded. You want to make sure you are answering the question that the trustee asked. Honest disclosure is the price of getting a bankruptcy discharge. This is not the time to be cute or tell anything less than the truth. You are answering under oath. You are subject to the penalties of perjury if you are intentionally are less than honest. Answer the question that the trustee has asked, truthfully, in as few words as possible. Don’t explain, don’t justify, don’t ramble. If the trustee needs to know more, he can ask a follow up question. Usually, the trustee is just trying to make a record that he has done his job. He has a list of cases he has complete. Don’t make his day any longer by volunteering more than he wants to know. If you don’t know the answer to a question, say so. If the answer is honest, it’s perfectly OK.
Perhaps your counsel can help. Maybe there are documents that provide the information. Don’t pretend to a level of certainty if you don’t really know. If you’ve been diligent about getting your attorney all the requested information, chances are the first meeting of creditors will be the last, and you’ll be on your way to a fresh start. Bankruptcy has its own language. If you are considering filing bankruptcy, it helps to know the language spoken there. Master just a couple of words and phrases, and input from a bankruptcy lawyer starts to make sense. So, in our continuing campaign for better understanding of bankruptcy, here’s a dozen phrases from the language of Bankruptcy for your meeting with a bankruptcy lawyer. Petition – the first paper filed in a bankruptcy case that initiates the case. It invokes the automatic stay. Automatic stay – an injunction against creditors that halts collection and foreclosure just because the petition has been filed. Schedules = the balance of the papers filed after the petition to flesh out your bankruptcy case. Trustee – the individual appointed by the Department of Justice to oversee your filing and to represent the interests of creditors as a whole. Means test – a form and a formula added to consumer bankruptcy cases supposedly to ferret out bankruptcy filers who are really able to pay creditors without bankruptcy. Non dischargeable debts that are excluded from the discharge by the terms of the Bankruptcy Code. Transfer – any act that changes ownership or title to an asset, or creates a lien on an asset. Post petition – events that happen after the petition for bankruptcy is filed. Because bankruptcy is based on the Bankruptcy Code, bankruptcy types tend to use the number of some important statutes as shorthand. 341 – Section 341 requires a first meeting of creditors in every bankruptcy case. We call that the 341 meeting. 523 – This is the section that lists the debts that are non-dischargeable. Several subsections require an affected creditor to prove his debt is non dischargeable. 727 – This section sets out the circumstances when a discharge can be denied altogether. It can be brought by a creditor or the trustee for the benefit of all creditors. Different chapters of the Bankruptcy Code provide for different kinds of bankruptcy cases that may be filed. Chapter 7 – a liquidation bankruptcy case available to individuals and business entities, but not trusts or estates. Chapter 13 – a reorganization case for individuals with debts under certain limits. Now that you have a working bankruptcy vocabulary, start talking to a bankruptcy lawyer to find out how these concepts work in real life. Don’t be afraid to ask questions. There is no reason why you should immediately understand this very specialized area of law. Even when you understand the concepts, how those concepts apply to your situation, and how they interact with each other is what’s really important. Make sure you pick a bankruptcy lawyer willing to take your questions and to deliver answers that you can understand. How do I make a Chapter 13 plan that succeeds? discharge more debts than any other form of bankruptcy. Yet a distressing number of Chapter 13’s fail before they reach the finish line. One powerful characteristic of Chapter 13 is that the debtor writes the payment plan. Not the judge, not the trustee, not some anonymous “they”. You. The court must confirm it, but creditors don’t have to like it or support it for it to become the order of the court. The plan sets out how much money you will pay in every month, and tells the trustee whom to pay with that money. So, how do you craft a plan that you can follow and will get you to your goals? What plan elements increase the odds of success? Biting off too much to chew (or really, to pay) dooms more Chapter 13 plans than anything else in the debtor’s control. And that usually comes down to trying to save a house with a loan badly in arrears. Or, keeping a vehicle with a huge unpaid balance. Bankruptcy allows you to choose whether to continue paying on debts secured by things you own. Chapter 13 differs from Chapter 7 in that it provides you protection from creditors and a space to catch up on secured debts that are delinquent. But some other debts must, by law, be paid in Chapter 13. Child support and recent taxes are the two most frequent examples. Those debts have a priority under the law, and must be paid in full through the plan. Since secured debts are usually paid first by the Chapter 13 trustee, the first dollars into your plan pay for those secured debts you choose to pay. If later you are unable to fund the plan, you can find yourself tossed out of bankruptcy, still behind on house and car, AND owing the feds and your ex. Sometimes, the most valuable thing a bankruptcy provides is a chance to walk away from deals you can’t afford any longer. Bankruptcy is unlike many kinds of legal representation where you can hand the problem to a lawyer and go on about your life. Chapter 13 requires that you help your lawyer present a budget for the life of your plan that is realistic. Nothing good comes of estimating that you can feed a family of four on $200/month, or that you can operate an older car for just the price of gas. Make unrealistic assumptions about ongoing living expenses, so that the plan appears to work, just pushes the next crisis a bit down the road. Think about the real cost of running your house and nurturing your family. Make provisions in the projected budget for those expenses that come around but not on a monthly schedule. Have your Chapter 13 payment automatically deducted from your paycheck, or your bank account, and you stand a far better chance of completing your plan. It’s simply easier to look at what’s in the account and spend what’s available than it is to spend such that enough is left to make the Chapter 13 payment. Your bankruptcy lawyer is yours for the duration of the plan. Stay in touch. Before there’s a crisis, or even a change that cramps your ability to make plan payments, pick up the phone. Tell your lawyer what you’re facing. Be proactive in solving problems before those problems prompt the Chapter 13 trustee to dismiss your case. You may be eligible to reduce your payments, to surrender the collateral for some debt, or to suspend payments for a while. If not, your choices may include converting to Chapter 7, asking for a hardship discharge, or simply voluntarily dismissing your case. Your lawyer can help you figure out which of the options works best for you. Most problems in Chapter 13 are solved more effectively and more cheaply when you are proactive in facing those problems early. Don’t be a stranger to your lawyer. Your bankruptcy filing requires that you state your intentions about reaffirmation right up front. Translated, that means what are you going to do about the car after bankruptcy. The car on which you still owe money and need to get to work. In the midst of all the other information needed to file a Chapter 7, it’s hard to get your head around reaffirmation. Particularly since reaffirmation got a lot more complicated and unpredictable thanks to Congress and bankruptcy “reform” in 2005. With my apologies for being dull and dense, here’s my attempt at explaining the issues and the options when deciding whether to reaffirm a car loan. The entire reaffirmation issue comes up because the bankruptcy discharge wipes out your personal liability for your car loan. But the lender’s lien on the car survives bankruptcy. After your Chapter 7 is over, the car lender can’t sue you for the unpaid balance of the car loan, but it can repo the car to enforce its lien. As bankruptcy lawyers say, the lien “rides through” the bankruptcy. Before 2005, a provision of the Bankruptcy Code said that if you kept payments current on a loan after filing, you were not in default. Put another way, just filing bankruptcy and discharging your personal liability didn’t breach the contract for the car loan as long as you paid as agreed. That provision was wiped out in bankruptcy “reform”. Now, even if you are current on the car loan payments, just having filed bankruptcy puts you in default. You are now at risk of having your car repossessed. You can eliminate the risk of repossession by reaffirming the car loan. If you “reaffirm” the original loan deal, your bankruptcy is no longer a breach of the contract. You give up the benefits of your bankruptcy discharge as to the car loan. So, the car lender emerges from your bankruptcy in the same position that it was when you filed. You, however, are once again at risk of not only repossession of the car, but also a lawsuit for any deficiency if you can’t pay in the future. The greater the spread between what you owe on the car and what it’s worth, the greater the risk to your pocketbook in the future. The car finance industry was one of the big winners when Congress amended the Bankruptcy Code. They got the right to intimidate debtors with the loss of their wheels if they didn’t give up the benefits of bankruptcy as to this one creditor. And the fear factor of losing your car, even if you’re paying, is huge. As it has played out since 2005, most car lenders have elected not to automatically repossess cars when the loan isn’t reaffirmed. They decided that they’d rather have the stream of income that post bankruptcy payments provide than get the used car worth less than the loan balance. Ford Motors is the exception. Ford has aggressively repoed cars where the debtor didn’t reaffirm the debt. You get a choice about reaffirming a car loan. You don’t have to reaffirm. In fact, the form that you file with your bankruptcy papers allows you to elect to surrender the car. Surrender may be the best thing if the car is simply too expensive or isn’t reliable. You can choose to keep the car and continue paying without reaffirming. You take your chances that the lender will repossess the car, but you also keep the benefits of the bankruptcy discharge. Because reaffirmation presents risks, the required form for reaffirming lays out the value of the collateral, the amount owed on the loan, and the interest rate. The facts get laid out in black and white. A form I reviewed recently made clear that while the debt to be reaffirmed was $22,000, the value of the car involved was only $11,000. You had to ask whether it was a good deal to pay $22,000 for something worth half of that. Sometimes, the lender will reduce the interest rate or extend the payments as part of the reaffirmation. The form also calls for the debtor to lay out his income and his other expenses. The question is: can the debtor really afford to keep paying on the car. Often, there isn’t enough income to pay the expected costs of living and pay the car. The form contains no way to express the fact that some living expenses are essential, and get paid even if other expenses are deferred. Because the issue is so fraught with risks and uncertainties, the reaffirmation agreement has to be approved by the bankruptcy judge. The judge is tasked with assessing whether the debtor understands the risks, and can pay the reaffirmed loan without hardship. And the question the law doesn’t address is what can the debtor do if he loses the car. In my experience, lawyers hate having to advise clients about their “options” when the options are so unappealing. Judges, too, hate trying to predict the debtor’s future, with or without the car. Out of this cauldron of uncertain and bad options, a line of court decisions has developed that may provide a middle course. Some courts have held that a debtor who attempts to reaffirm a car loan and has the judge deny approval is still protected from repossession. Those courts read the law to say that all that is required to preserve the right to “keep and pay” is the willingness to reaffirm. So, even if the judge withholds approval of the reaff, the lender can’t repossess as long as the payments are kept current. In my view, all of this is enough to end our love affair with cars. But there are your choices.